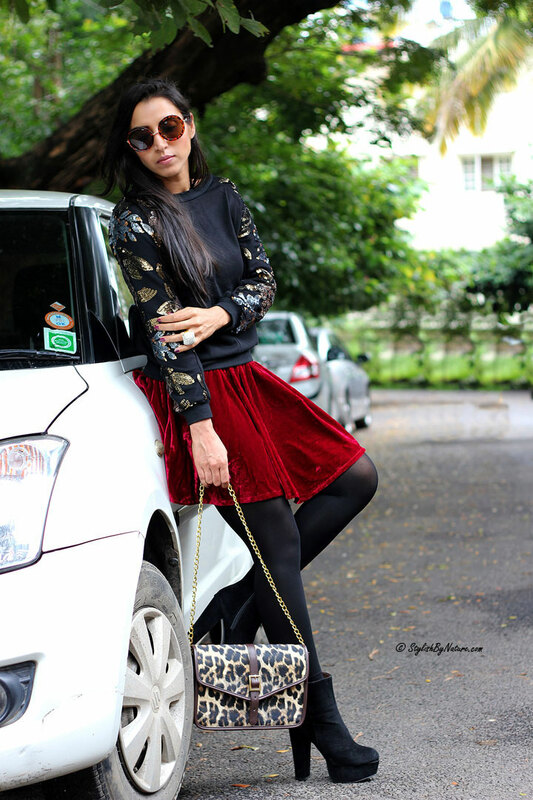 My first possession onto this trend is this smoking hot velvet skater skirt. Couldn't wait to pair it with an all-black outfit and let the color pop !! With the celebration season fast approaching, every girl is looking forward to add that zing of bling to her wardrobe !! I am a bling addict and need no reason or season to add the magic into my outfits. 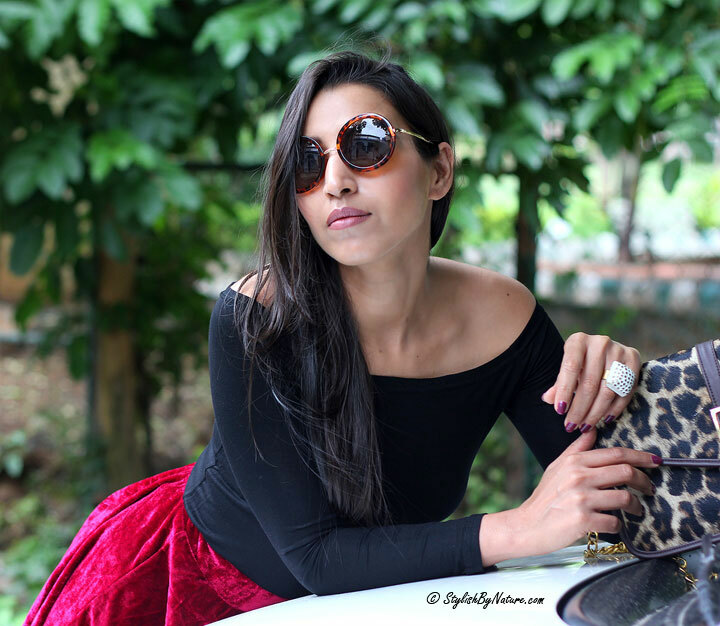 Since, there is chill in the air now-a-days, I am crushing over Sweaters, jumpers & cardigans to keep myself cosy yet blingy. I am so easily distracted by anything sequin these days. No doubt, sequins are an integral part of my outfits or accessories. 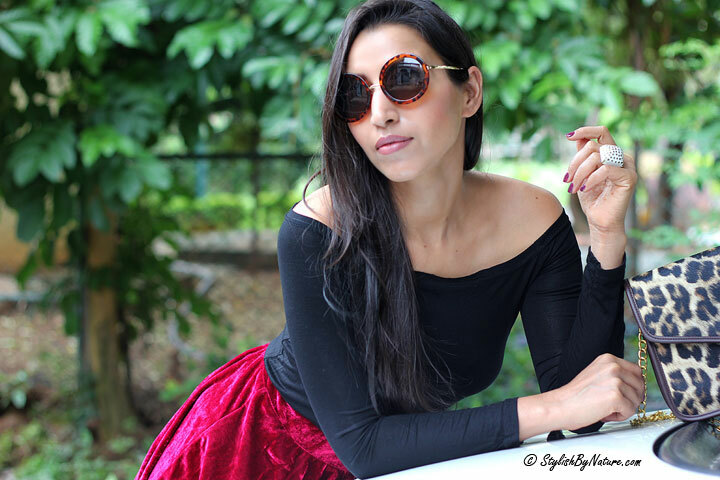 Finding ways to wear sequins during the day can be tricky, but rest assured it can be done! This sequin jumper is perfect example to be a part of celebrations without looking like Christmas tree.